This Indian approved Multi / Pressure Slow Cooker Simple Ghee will simplify your life. Walk away from your Pressure Cooker or Multi-Cooker and spend quality time with your family. This Pressure Slow Cooker Simple Ghee recipe is so simple to make, there is really no reason to buy Ghee from the store. Ghee is very popular in Indian cooking. It is taking the World by storm and is used for all kinds of cooking. Ghee is different from clarified butter as clarified butters are generally prepared by removing milk solids early on. 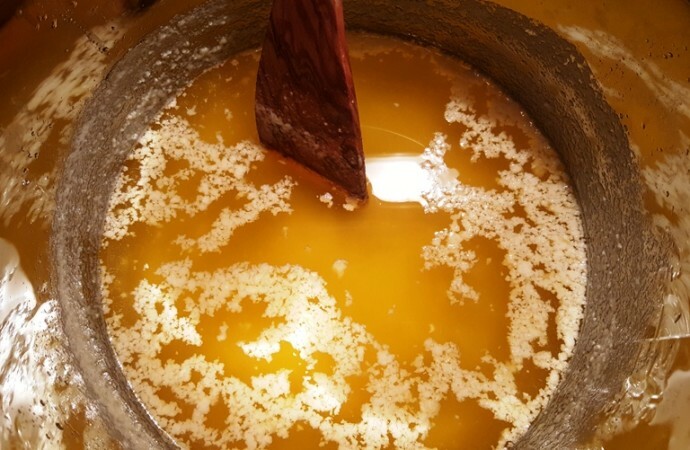 Whereas, to make Ghee, you want to continue to simmer the butter with the milk solids for a longer period of time. This gives Ghee a distinguished nutty taste, if you will. Many people make Ghee on the stove top, but since I have an Instant Pot Smart with many features, I thought it would be nice to use it for making Ghee, using the Slow Cooker feature. I’m asked, “but isn’t it quicker to make Ghee on the stove top”? Well, yes, it sure is. I’m a busy person and I don’t want to stand over a hot stove and worry about the hot burner. I like to be able to walk out of the kitchen and have the Pressure Cooker or Multi-Cooker do the work for me! Try making Ghee on the stove at the same time you are doing your laundry or outside enjoying the day. All you need is unsalted butter and a Pressure Cooker or Multi-Cooker. Some people like to add a pinch of salt after the Ghee is strained. It is a personal preference. I don’t add salt to my Ghee at all. I figure, oil isn’t generally salted and I like to control the salt in my food. When I use the Ghee on bagels, toast and any food, where I would use regular butter (like popcorn!) I’ll just salt that food. Use the best quality better you can afford. Unsalted Kerrygold Butter for Ghee is very, very popular. Costco makes a nice high quality butter as well. This Ghee recipe is very popular in the Facebook Instant Pot for Indian Cooking Group! Add your butter to your Pressure Cooker or Multi-Cooker cooking pot. Set your Pressure Cooker or Multi-Cooker to the slow cooker function on medium and walk away. The milk solids will begin to separate. I love using this Pressure Slow Cooker Simple Ghee in place of oil when I cook. Food tastes so much better and richer. Even something as simple as Pressure Cooker Ghee Rice is so delicious and much better than just adding butter to rice. After the slow cooker is finished doing it’s thing, turn it off. Select the Sauté or Browning function on the Pressure Cooker or Multi-Cooker and adjust to the low heat setting. Keep an eye on the pot and stir every once in a while to check to see if the solids have fallen to the bottom of the cooking pot. The water will evaporate from the butter and the milk solids will fall to the bottom of the cooking pot. The solids will begin to caramelize, which is what you want to happen. This is where the Clarified Butter turns to Ghee. Cheesecloth works well to strain the Ghee. 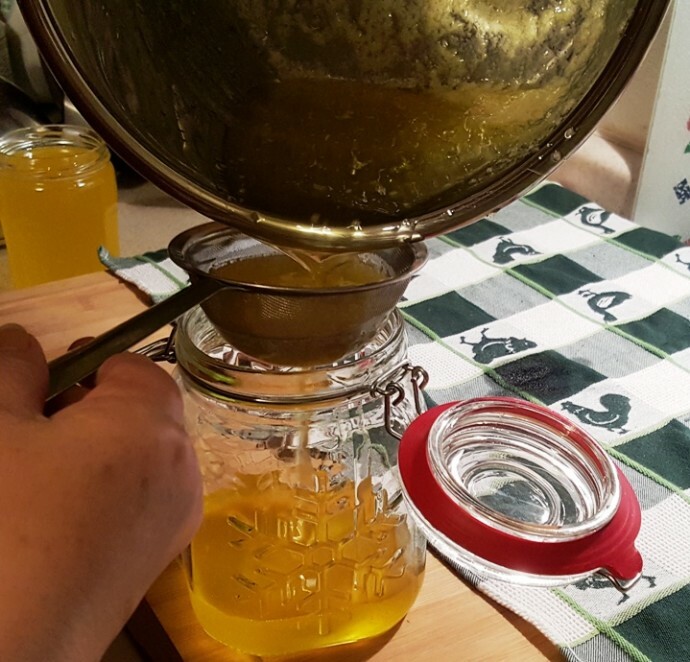 I like to use an Ultra Fine Mesh Strainer to pour the Ghee into glass jars. 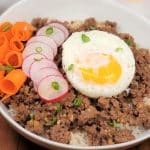 Use the Solids for Rice! See all those milk solids? Don’t throw them away after you Strain them out. 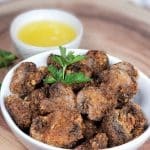 The browned bits are delicious and many people enjoy them on bread or snack on them. I’ve also heard that people throw the milk solids into vegetables and rice. That sounds really good! The Ghee is completely silky and luscious and ready to use. Try it out on my Pressure Cooker Indian Butter Chicken or my Pressure Cooker Chicken Tikka Masala. Use it in place of Butter or other oils. It adds a delicious, nutty flavor! You an leave your Ghee out on the counter, or keep in the refrigerator. Check out my Pressure Cooker Seasoned Vegetable Ghee Rice and my Pressure Cooker Roasted Onion & Garlic Hummus to see this Pressure Slow Cooker Simple Ghee in action. I like to store my Ghee in these Kerr Half Pint (8 oz) Mason Jars. 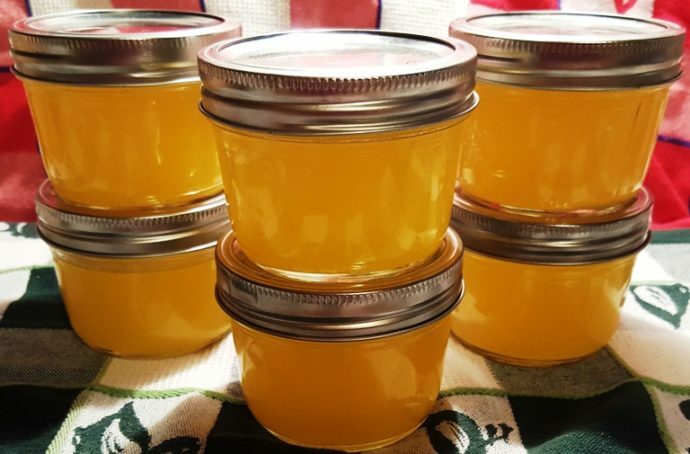 Ghee will last quite a while if you have stored the Ghee properly. Store some in the refrigerator and store some in a cabinet, out of the light. 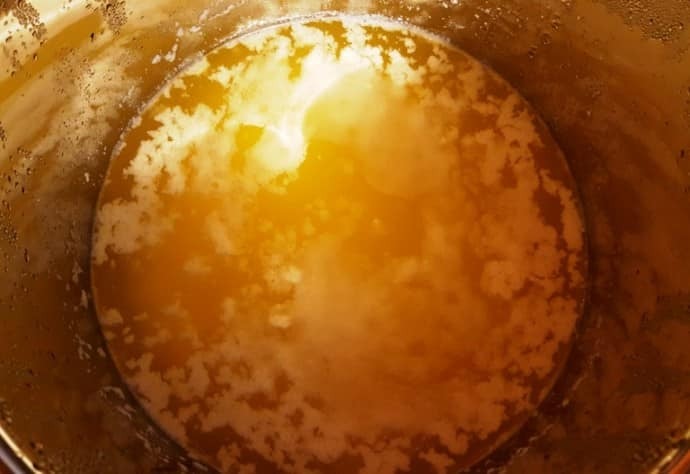 Let me know how your Ghee making goes by leaving a message in the comments section below. Add butter to your Slow Cooker/Multi Cooker cooking pot. Cover with Glass Lid, or use Multi Cooker's lid, with Steam Valve open. Cook on MEDIUM/NORMAL for 2 hours. When Beep is heard, turn off Slow Cook function, open lid and push the Sauté/Browning button and then adjust to the LOW setting. Continue cooking for 20 minutes, stirring frequently. The solids will begin to caramelize, which is what you want to happen. This is where the Clarified Butter turns to Ghee. When time is up, allow Ghee to cool to almost room temperature and the pour through a cheesecloth lined strainer, into a glass jar. 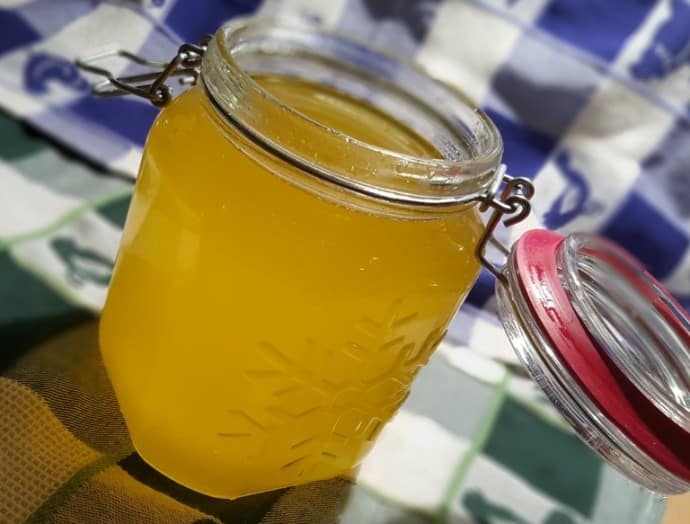 Ghee can remain out on the counter or stored in the refrigerator. PIN this Indian Multi Pressure Slow Cooker Simple Ghee! Ooh – this looks so much easier than stove top ghee. I just ordered an Instant Pot – can’t wait to try this recipe out! Thanks for visiting. How exciting that you will be getting an Instant Pot. I wish you years of cooking delicious food. Heading to the store right now to get the butter! Wish we had a Cosco, just have a Sams Club. I will get your recommended Kerrygold butter. Thanks for all your great recipes and super instructions! Sorry about Costco. I love that store! Good luck with the Ghee. Let me know how it goes. Jill, can I halve the recipe? It’s only me and that would take a LONG time to use. Thanks! You can halve it, just keep a close eye when you get to the sauté step, as it will move quicker with just half the amount of butter. I’m on my second batch of ghee from this recipe. Delicious! Thanks for posting this with clear directions. When I started the Whole30, I decided to make ghee. Since that time, we’ve made it a few times on the stove top. We recently bought an Instant Pot. Just the other day I was wondering if we could make ghee in it. Then I found your recipe on the internet. First time ever making Ghee, and made it in the IP. My IP does not have a low setting on sauté, so at about 14 minutes it burned, even though I was stirring it a lot. :-(. Next time, I will sauté for 10-12 min. I’m going to strain it anyway and see if it’s salvageable. I’m curious, how much ghee did you yield with 32 oz of butter? Thanks for the answer and the recipe!! You will get around 26 oz. Hi, I made my batch of ghee this afternoon. I didn’t realize it would take on a more solid consistency when cold. I thought it stayed much like oil. Definitely cheaper than purchased. I even stopped at a local Indian store this afternoon just to price it. Of course, I had no idea which brand was better, but prices ranged from $3.99 (which is about what I paid for the 2 lbs of butter) to $8.00. I managed to find butter on sale. It’s not Kerrygold. I had a hard time straining it, I used cheese cloth, but wasn’t happy with the results. I didn’t help that my house was cold inside (well 68 degrees, but that’s cold enough to make it solidify). I can’t wait to use it in something. But then I had to figure out what to cook in the IP to use the residue in the bottom! I’m very proud of myself. Only used 1 lb butter. I noted my solids are darker color than your picture but definitely wasn’t burning. did I read somewhere that some people cook the solids till crunchy then eat them or put on things? Yes, it’s a delicacy in India, as I understand it. Do you know how much ghee you can get from a pound of butter? I love Ghee for cooking! I also use it for Ayurvedic foot massage on clients. This will save me a ton of money. Thank you so much for posting. 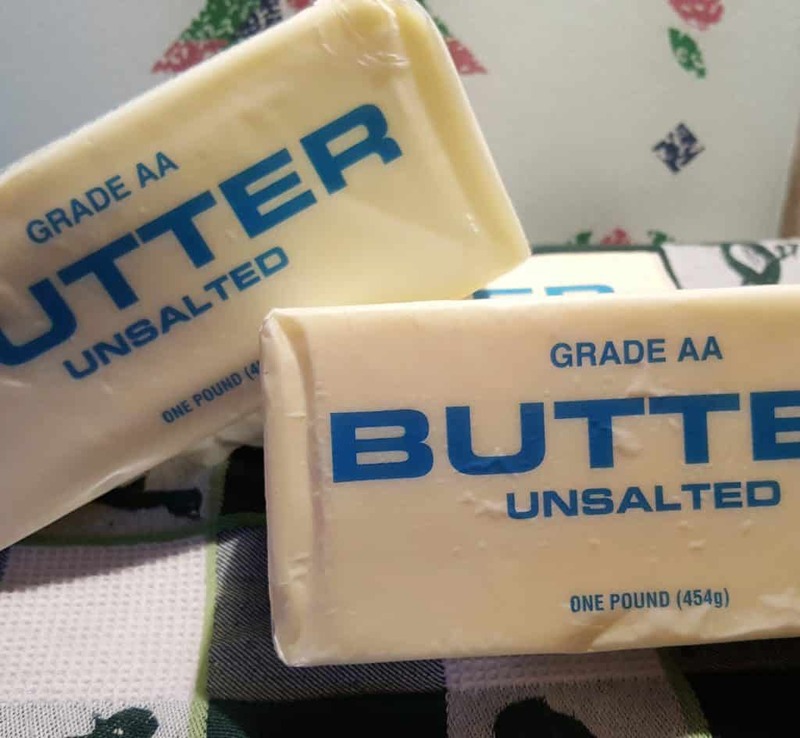 I have 2 questions…..I have quite a bit of frozen butter in my freezer right now (I buy it when it is on sale) but it is salted (and not Kerry Gold)…..should I not make ghee with salted butter? Also once I make it I would probably freeze some since I love alone….how long would it last in the freezer? Thanks. I made some this morning and I think it worked okay……it says to saute on ‘Low’ but I can’t figure out how to change my saute setting on my Instant Pot to low. It stayed at medium so it boiled pretty vigorously. The ghee is fine with the milk solids turned a dark brown (not black) and they smell SO good :)….like a roasted toffee or something but i am not sure it is okay to eat them that dark. Yes, you can use salted butter. Just remember when you cook with it that it was salted butter. I’ve made it many times and have yet to use UNsalted butter! lol I love my salt! Since getting my IP, I’m looking forward to making healthier choices for my family. Questions about ghee: 1) can salted Kerrygold butter be used if unsalted is unavailable? and 2) how long can it be left on the counter (or in the cupboard) before it goes bad? Thank you for your website. You are not just This Old Gal; you’re becoming my Go To Gal! 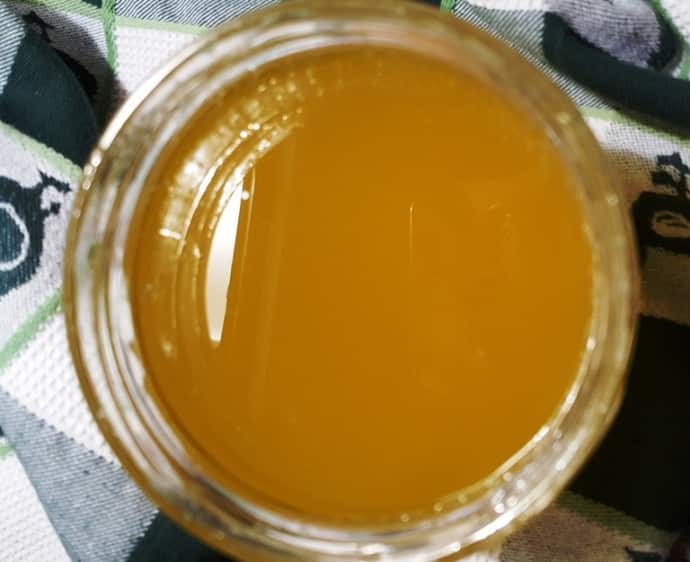 I just made Ghee for the first time. I am brand new to Instant Pot and so far have made hard boiled eggs your way (perfect and soooo easy), a Taco Pie that was ok (came out warm, not hot) and now Ghee. However the solids did not Carmelize. After the 20 minutes slow cook, I cooked it on low sauté for 25 minutes. At 20 minuets, it was not carmelizing, so I continued another 5, but didn’t know if I should keep going. Should I have continued past 25 minutes until it carmelized? Should I try it next time on Normal (medium) instead of low sauté? The solids did not caramelize that I could tell. Thanks for any advice you can give me. If your ghee isn’t browning on the less setting, then try the normal – maybe your pot cooks cooler than most. First of all you completely rock! 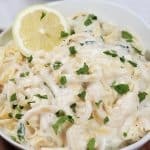 Thank you for sharing all of your great recipes and tips!!!! Can you tell me how long the ghee will last? I’ve used my ghee well past the 6 months mark. However, I’m extremely diligent about only using a very clean, dry utensil to remove the ghee from the jar. It helps to store your ghee in small jars – it reduces the risk of contamination as you’re using a fresh jar sooner than if you stored it in larger jars. Can Salted Butter be used for Ghee? Also, I have a glass lid from another 6 qt pressure cooker can I use it? I do not understand this statement. Thanks for all of your great tips and recipes. In order to switch from the Slow Cook mode to the saute mode, you have to hit the cancel button on your IP. It doesn’t switch from one mode to the other without first being turned off, then select the next mode you want – in this case saute, adjust “-” for lower saute temperature. Yes, salted butter can be used. Yes, a glass lid can be used – but it’s really best to NOT use a lid. The water needs to evaporate from the butter. If splattering bothers you, it’s ok to use a splatter screen. I’ve been making it on the stove for a long time but am trying it this way today – it is slow cooking now. I mainly use it for bulletproof coffee in the morning but recently ran across a recipe for mayo using half ghee and half sesame oil. I don’t like mayo but might like it with ghee in it. Reporting in: The ghee is lovely, silkier than what I make on the stove. I combined it with sesame oil and made mayonnaise. I’ve never done this before but it is the only way I’ll make mayo from now on. One more update: I tried the ghee in my bulletproof coffee for the first time this morning and it tastes better than what I made on the stove top. That is wonderful to hear! It makes coffee so creamy! Mine ended up more clarified butter. I even cooked about 5 extra minutes but the milk solids never caramelized. Could be that you need to saute on a higher temperature saute than less. Try normal next time. And don’t go by time to determine whether it’s done, go by color. When it’s a nice golden color and the milk solids on bottom are starting to brown, it’s done. Another method I’ve used on the stove, and probably would work in the IP, is to NOT stir the ghee at all once you begin the saute mode. Saute until milk solids turn brown. I’ve come to this site to see how Jill does it in IP. I’m about to try it in IP, so I’ll see if this works. Well, I made this recipe last night. It took 4 hours, and wasn’t even really done then as it was barely browning the milk solids. I used the saute button on less for four cycles of 30 minutes!!! I REALLY wanted to bring the saute up to normal, but since the recipe called for less, I thought it’d be more scientific to do it as written. 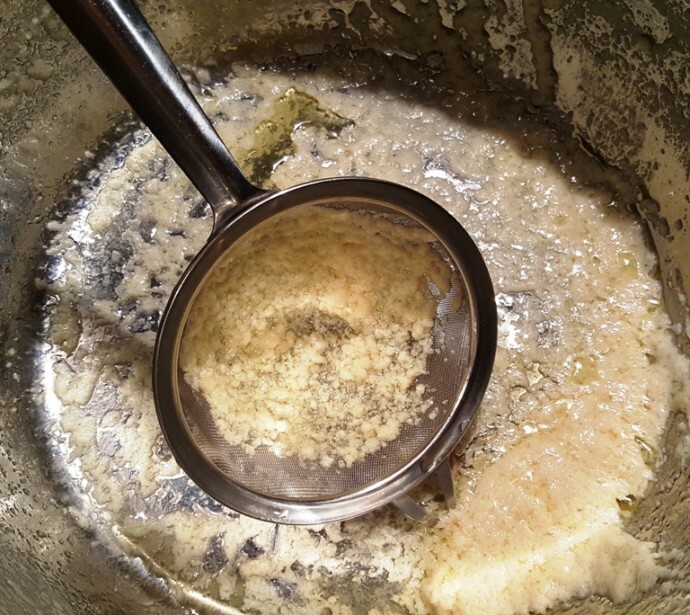 SO, long and short of this is – it seems many of you have an IP like mine – where 20 minutes is nowhere NEAR enough time on Saute-less to brown the milk solids of the butter in order to harvest nice golden ghee. I’d recommend trying it on normal if you’re not browning by 20 minutes on less. The only issue is that you’ll probably get a lot more splattering that way. The saute function on my IP cycles on and off. I never knew that. 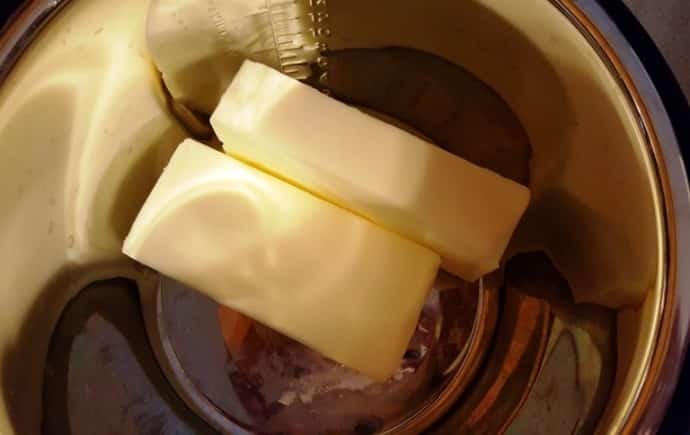 The butter would sit there with barely a bubble, then a few minutes later it would cycle on and I would have to dash over and put the splatter screen back on for about 15 – 20 seconds until it cycled off. I didn’t want to leave it on because you don’t want water in your butter (not really supposed to use a lid). Does anyone know if all IP’s cycle on and off in Saute mode, or do I have a defective unit? Someone had this on the instant pot webpage it’s much different in time than yours is. what you think it will reap? 1. Unwrap and add, 16 oz (I used Kirkland unsalted 4-butter sticks) to the IP stainless steel removable bowl. 2. Turn IP on to Saute Mode, Adjust to Normal (not More or Less). Set a timer for 10 mins. 3. Stir every 2-3 mins. Turn IP off once the 10 min timer goes off, butter will continue to cook for few mins. Allow it cool down. 4. Strain the ghee using a fine mesh filter(I used tea filter) or cheesecloth into a dry and clean container. 5. Cool completely before closing the lid. All this time reading recipes for my InstantPot, I wondered what Ghee was. Now I not only know what it is, I can also make my own! Cannot wait to try some chicken thighs and Ghee for some butter chicken! No I need a recipe for that too…ideas???? I like having some clarified butter (not quite Ghee) for use as oil to grease pans or cook something that I want an oil with no taste. Could I use your recipe and stop after the 2-hour slow cook, and just not saute it? Would that be clarified butter? You comment in your instructions that the saute is when it turns clarified butter into Ghee, so I am guessing that would work. This is the second time i’Ve made ghee. Once on the stove top and the next with instant pot and I’m still running into the problem of the butter not solidifying while on the counter? My home is not hot! I hate having to put it in the fridge. Any advice? I tried making ghee today and followed the instructions exactly. I used the Kerrygold Salted butter (couldn’t find the unsalted ones). However, after sauteeing it for 20 minutes, the solids did not caramelized at all. I strained it anyways with just a strainer, didn’t have cheesecloth or coffee/tea filters. Is it still considered ghee if the solids didn’t caramelized? 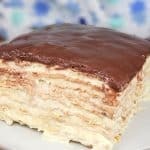 Can I store the solids in the refrigerator for later use and try to caramelized it later? Thanks for any answers and suggestions! My sauté function is only on or off on “normal”. It bubbled a lot but I kept a watchful eye and stirred it continuously for about 15 minutes until it started to froth upwards. I turned the heat off and kept stirring. It seems dark and is now in the fridge. The caramelized bits were very dark brown. Did I burn it? This may be a silly question, but how does this change the calorie content of the butter? I just got an instant pot but no glass lid. What can I use instead? Awesome! 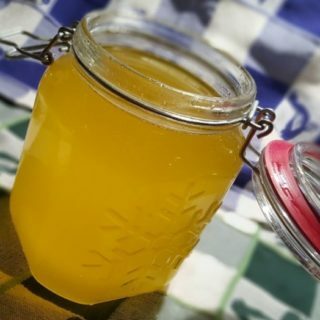 so easy to make ghee. thanks for sharing the recipe.